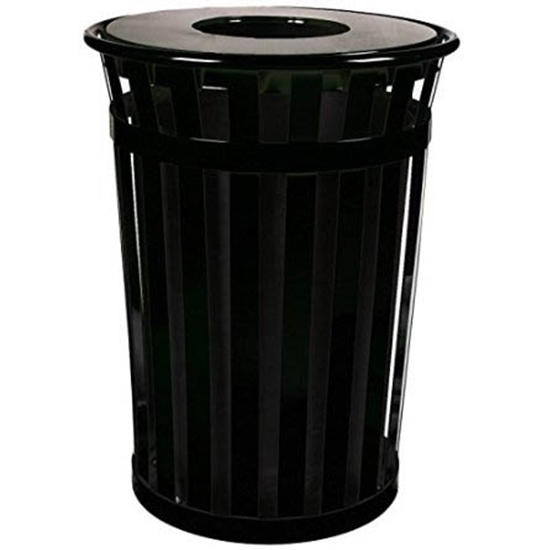 This 36 gallon powder coated steel trash can comes with open flat top and durable black plastic liner. Includes anchor kit, lid attachment kit and built-in leveling feet. Ships within 2 days of ordering. 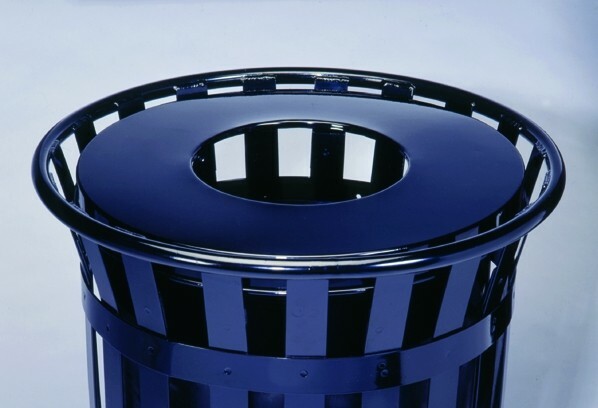 Constructed of heavy duty steel that is sourced in the USA. Slatted receptacles are increasingly popular in parks, schools, and malls.